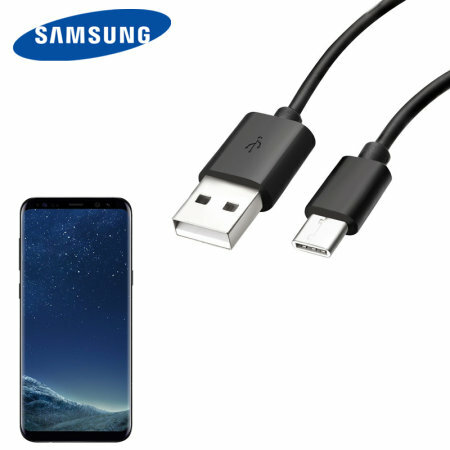 Perfect for charging your Samsung Galaxy S8 and syncing files, this official 1.2m bulk packed Samsung USB-C to USB-A cable provides blistering charge and transfer speeds and also supports adaptive fast charging. Cable is as described, does what I need it to do charge is fast too , price is good ,? The S8 charger got to me on time on time and works perfectly so I was happy. Doesn't a few more quid to get the genuine article from Samsung and glad I did. More robust than cheaper versions. Good quick delivery as well. If you are looking for original USB for S8 "mobilefun" is the answer!!!!! I needed USB-C fast charger for my Samsung Galaxy S8. Paid for the proper item as those from other outlets were not so good and broke quite quickly. Quite happy with product,charges samsung s8 quickly,delivered on time, communication was good. Wouldnt hesitate to use again. I like the fact that the cable was not made in China for I don't mind paying a little more. I've only used this charger once and works well so far without any issues. Exactly as ordered, top quality cable, very speedy delivery. I couldn't find the original Samsung S8 charging cable in Sydney so I bought one from Mobile Zap. Despite the delay due to overseas shipping, I am happy to have received the product. Genuine Samsung item and packaged nicely. Can't go wrong with it! Exactly as ordered. Fast and efficient service. Delivery was quick and easy . Fantastic customer service throughout. Product was delivered quicker than I had been estimated so that was amazing. Product was exactly as ordered and works perfectly. Nothing it is a charging cable from a reputable company.